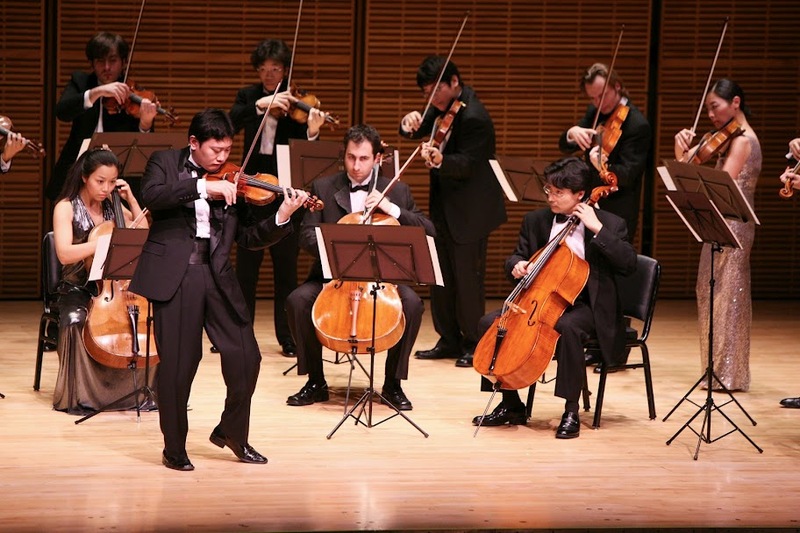 In 2005, KCS celebrated its 25th anniversary by presenting the acclaimed Sejong Soloists. For over 30 years, the Korean Concert Society has identified outstanding young classical musicians and nurtured their careers. Through our annual Kennedy Center Debut Recitals in Washington, DC, we have provided a key stepping stone in the careers of many of the top classical musicians performing today while contributing to cultural life in the Washington DC area. For over 30 years, KCS provided opportunities for Korean-American musicians who were just beginning their careers as performers. The cornerstone of this commitment has been the annual debut recital that we present at the Kennedy Center in Washington, DC. Through an open application and audition process, we selected an excellent young soloist every year in rotating instrumental categories (violin, cello, piano, and others). Many KCS artists have gone on to extraordinarily successful careers, and in 2013 KCS began partnering with the New York based Young Concert Artists to offer the same opportunities to a wider group of musicians. Each year, KCS will select one outstanding musician from among the winners of the YCA Audition as the Korean Concert Society Prize Winner, who will perform at the Kennedy Center in a recital co-presented by KCS and YCA. Since 2013, the Korean Concert Society Prize is no longer limited to musicians of Korean Heritage. Though nearly all the musicians presented by KCS were “unknown” at the time of their debut recital many have gone on to have distinguished careers. Chee-Yun (’88/violin) went on to win an Avery Fischer Career grant in 1990 and performs as a soloist all over the world. David Kim (’82/violin) became the concertmaster of the Philadelphia Orchestra. Catherine Cho (’91/violin) teaches at Juilliard and is one of the top chamber music performers in the U.S. Yong Hi Moon (‘81/piano) is a highly sought after pedagogue and teaches at the Peabody Conservatory. Her husband, Dae Wook Lee (‘81/piano) was the conductor of the Ulsan Philharmonic Orchestra in Korea and is now a professor at Hanyang University School of Music in Seoul and a soloist. Sungwon Yang (’93/cello) is a professor at Yonsei University School of Music in Seoul and has appeared all over the world as a soloist and as a chamber musician. In 1996, Soovin Kim (’95/violin) became the first American to win the Paganini Competition in 24 years and the youngest winner ever. Daniel Lee (‘97/cello) is principal cellist of the St. Louis Symphony Orchestra. Lucille Chung (‘94/piano) has performed around the world as a soloist and has made acclaimed recordings of the music of Ligeti, Saint-Saëns, and Mozart. International Sejong Soloists (‘98/ensemble) is the host ensemble of the Great Mountains Music Festival & School in Korea and is considered one of the top string orchestras without a conductor in the world today. The Korean Concert Society is a Registered 501(c)3 Non-Profit Organization and is funded solely by private donations.